This includes TWO classes, both led by Janet LeBlanc of Paper + Spark. It includes Getting Organized with your Finances AND Getting Legit With Your Finances. We'll review the action steps every business needs to take to get their financial ducks in a row and assess the state of YOUR financial foundation. 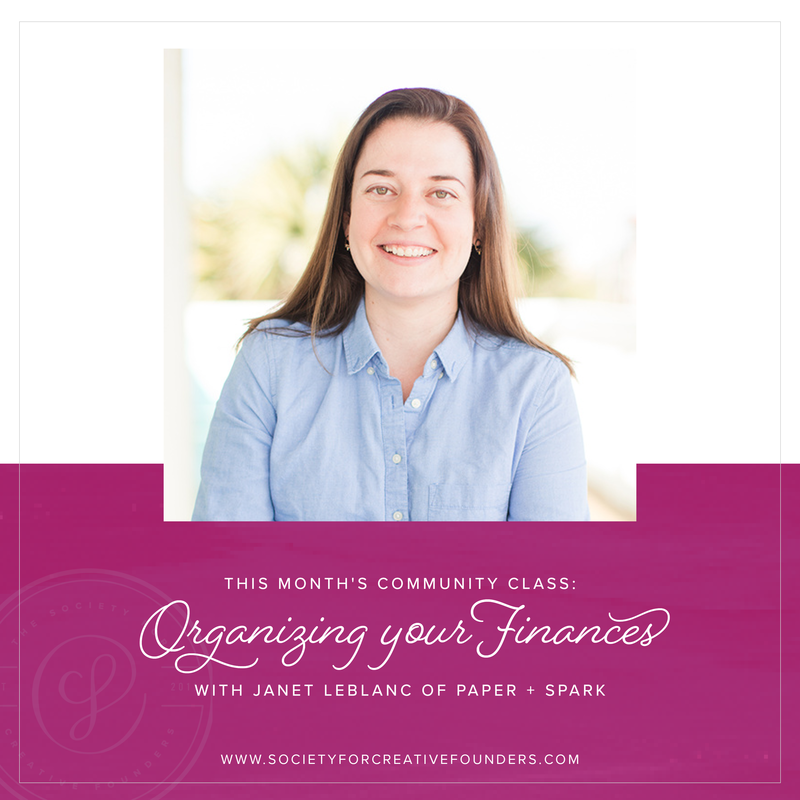 Then, we'll discuss how to organize, systemize, and automate your finances as much as possible. I'll share tips on how to use your numbers to make smarter decisions for your business. I’m a Certified Public Accountant, a serial-entrepreneur, and a mama of two little ones in Houston. In 2011, I started selling handcrafted jewellery on Etsy as a creative outlet from my cubical job in corporate accounting. The exhilarating and winding path of entrepreneurship led me to create Paper + Spark in 2014, where I combined my love of craft and numbers to help other makers and creatives with the financial side of running a business. I create bookkeeping templates and educational resources that empower creative entrepreneurs with the knowledge necessary to confidently handle their money. If you are interested in purchasing this class individually, you can do so here. To receive access to this class with a subscription, learn more below. This class is also included as a part of a Resource Library Subscription. To learn more, click the button below.